"The next person can steal someone's already opened gift." RLJE Films has unveiled an official trailer for a creepy holiday horror titled All the Creatures Were Stirring, which premiered at the Chattanooga Film Festival this year, even though it will be getting a direct-to-VOD/DVD release this fall. This looks like a fun anthology horror to catch. When an awkward date on Christmas Eve leads a couple into a strange theater, they're treated to a bizarre and frightening collection of Christmas stories, featuring a wide ensemble of characters doing their best to avoid the horrors of the holidays. From boring office parties and last-minute shopping, to vengeful stalkers and immortal demons, there's plenty to fear this holiday season… The cast features Constance Wu (from Crazy Rich Asians), Amanda Fuller, Jonathan Kite, Graham Skipper, Jocelin Donahue, and Ashley Clements. This looks a bit low quality, but it might still be entertaining. Ho, ho, no…! The joyful spirit of the holidays is about to take one dark turn after another. From sadistic office parties and last-minute shopping nightmares, to vengeful stalkers and immortal demons, there’s plenty out there to keep you from getting out of bed to see what’s under the tree this holiday season. Constance Wu and Jonathan Kite headline a sensational ensemble cast in this devilish stocking stuffer of a movie. All the Creatures Were Stirring is written and directed by filmmakers David Ian McKendry and Rebekah McKendry, both making their feature directorial debut after writing/directing a bunch of other shorts together previously. This first premiered at the Chattanooga Film Festival this year. 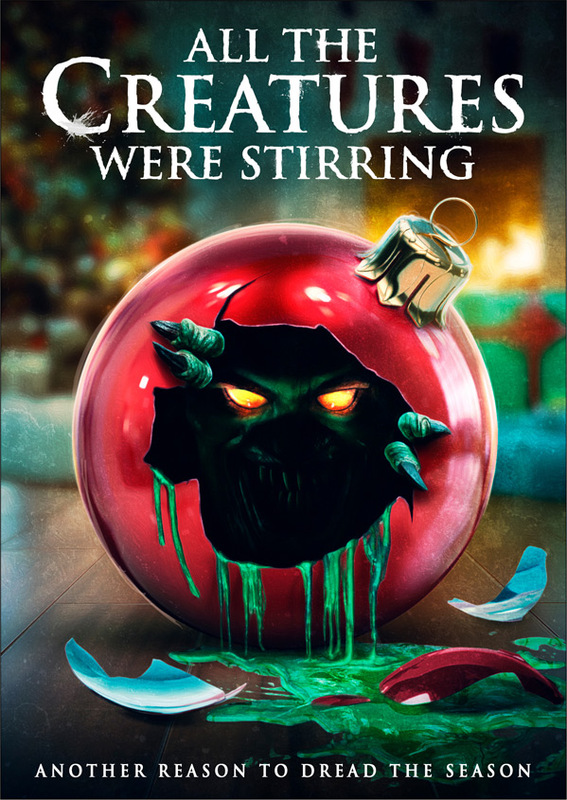 RLJE will release All the Creatures Were Stirring direct-to-VOD/DVD starting December 4th this fall. Anyone interested?